When visiting Istanbul, Turkey there are a few places that you MUST include on your itinerary. 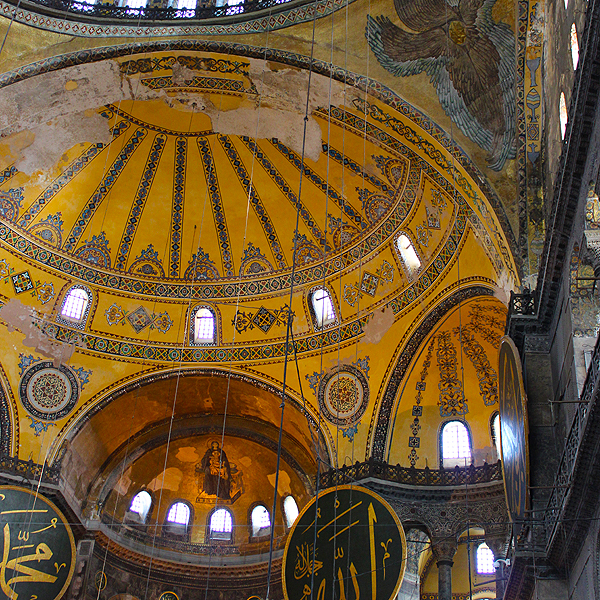 The Hagia Sophia – This museum started out as a Greek Orthodox Basilica and later turned into an imperial mosque. The rich detailed mosaics and the beautiful pendant chandeliers made the 30 Lira entrance fee worth it. The museum is closed on Mondays so plan your itinerary accordingly. 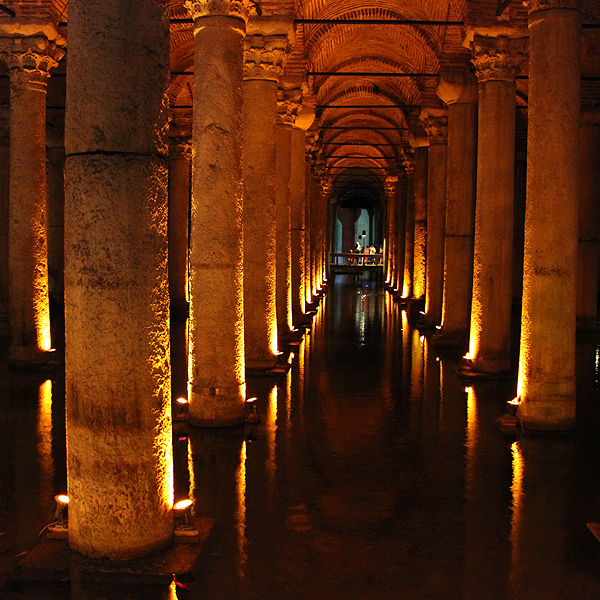 The Basilica Cistern – It is worth the 20 Lira to get it. It is exactly like all the photos you see. Be prepared for an instant hot and humid atmosphere, that can lead to claustrophobic anxiety or panic (spoken with personal experience!). Look past the great lighting and look at the details of the columns – especially the Medusa heads. 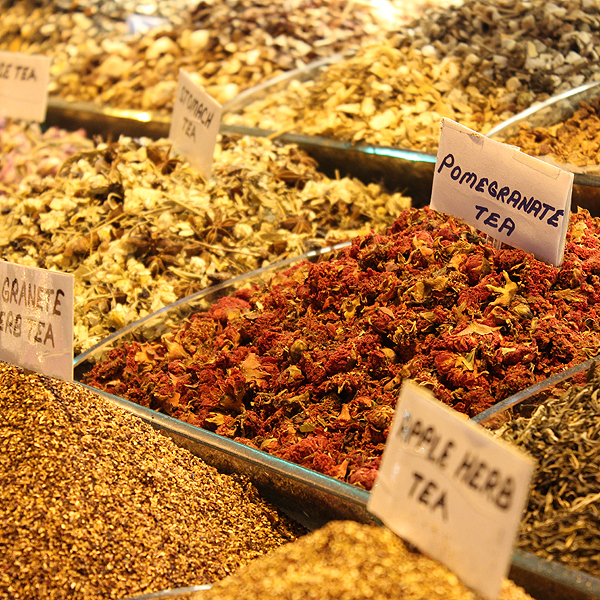 The Spice Market – A well-known spot for chefs and aspiring chefs alike. If you so desire there are cooking tours that you can book to learn how to cook Turkish style. The Blue Mosque – You can visit the Blue Mosque for free although donations are greatly encouraged. Plan around prayer times as it is only open to locals during that time. Be respectful and wear long pants and have your arms covered up as well. Women also need to have their heads covered, so wear a scarf as part of your attire that you can easily slip over your head and across your shoulders. If you have time, add in a visit to the Mosaic Mosque which will overwhelm you with the number and intricacies of the mosaics. It is closed on Mondays so plan accordingly. 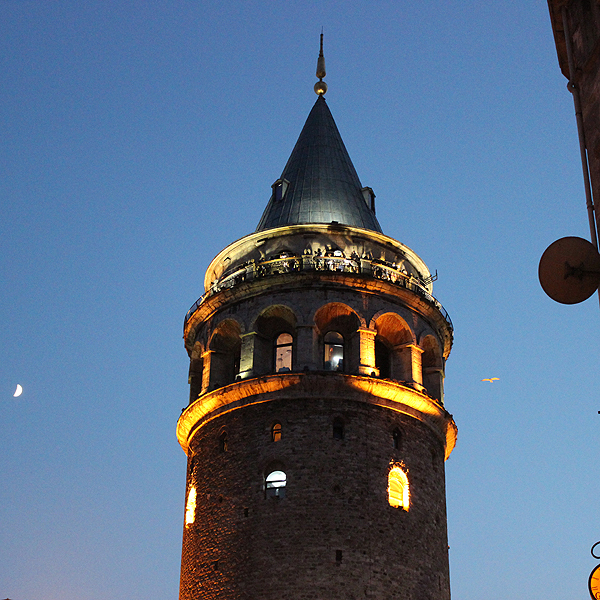 The Galata Tower – Day or night the tower makes for great photo opportunities. Be prepared for steep cobblestone pedestrian streets so come prepared with comfortable walking shoes. 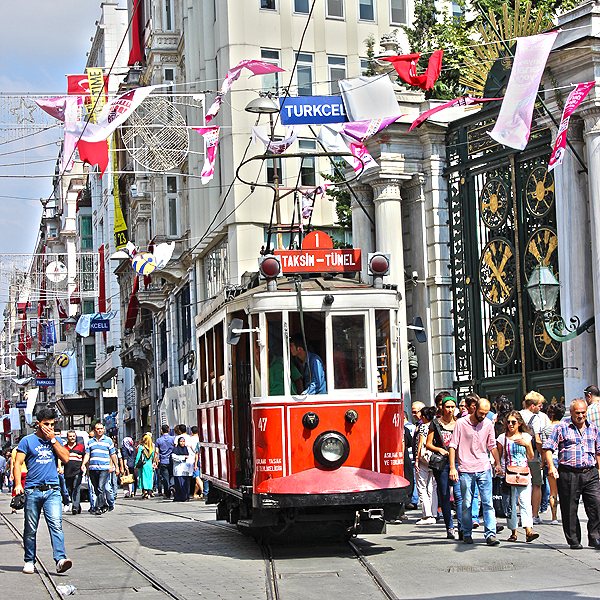 İstiklal Avenue – This pedestrian street is the main shopping district in Taksim with major retailers and restaurants. This is also home to the iconic red tram. This street is high energy as over a million people visit daily. Protests and rallies are frequent, but the polis riot squads keep the area safe and secure. Turkish Bath – Istanbul is known for its Turkish bath – also known as hammams. It didn’t rank high enough on my personal priority list, but everyone I know who has gone to one thoroughly enjoyed the experience. There are many more places to visit in Istanbul, but if you are only there for a few days, the above list will give you the full Turkish experience. Posted in DestinationsTagged Basilica Cistern, Bazaar, Blue Mosque, Galata Tower, Hagia Sophia, Hammams, Istanbul, Istiklal Avenue, Spice Market, Turkey, Turkish BathBookmark the permalink.